Award-winning interactive entertainment across multiple platforms and genres. Working hand-in-hand with world-class partners, Lucasfilm Games creates interactive and immersive experiences that help extend the narrative of our worlds and allow fans to make franchises like Star Wars their own. With titles on console, PC, and mobile, Lucasfilm Games pushes the boundaries of gaming and AR/VR experiences with engaging storytelling, stunning graphics, and innovative gameplay. 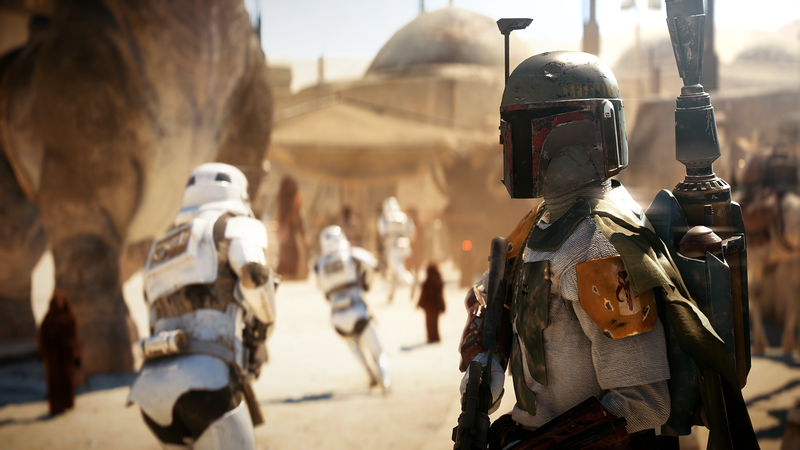 Star Wars: Battlefront II allows gamers to control factions from both the original and prequel Star Wars trilogies and includes vehicular and on-foot combat. Build powerful teams of characters from multiple eras and engage in RPG combat like never before. Assemble your dream squad of iconic characters and take on the galaxy. Charge into battle and lead troops to victory in Star Wars: Commander, a combat strategy mobile game. Star Wars: Jedi Challenges is a smartphone-powered augmented reality experience featuring three modes: lightsaber battles, tower defense, and Holochess.